You have been very patient and now the wait is finally over. 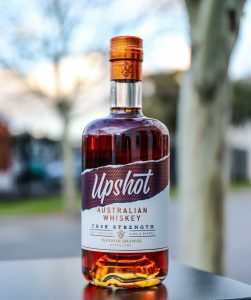 Our distillers have made a traditional cask strength of our Upshot Australian Whiskey which sits at a powerful 64%. This special release will only be available directly from the distillery from 11am on Saturday 15th September. To celebrate the occasion we are giving you the chance to taste this whiskey as well as hang out and meet our team. On the house food and snacks will be available from 11am to 1pm. Remember Whipper Snapper Distillery is kid and dog friendly!